After a youthful love affair with all things Julia Child, Melissa Silva-Torcedo catapulted her passion and love for the art of cooking into a successful career in the food industry starting in 2003. At the inspiration of her muse she graduated from Le Cordon Bleu in Pasadena, California in 2005. 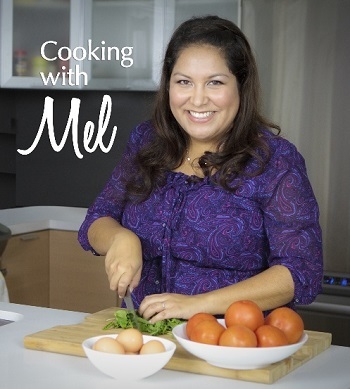 Before hosting Cooking with Mel, Melissa put her cooking skills to work at 5-Star Restaurants in Los Angeles and San Diego, working alongside some of the best Chefs in the industry. She’s also an author of two gourmet cookbooks. Says Chef Mel, "Showing people how to turn ordinary food into extraordinary meals – that’s my passion. Home cooked gourmet meals can not only be quick & easy-to-make, but affordable too." Always the willing hostess and at her family's behest, Melissa caters to family and friends on a regular basis, to cries of "More! More!" for her signature dish of Macaroni and Cheese. Chef Mel’s baking skills are also eagerly sought for birthday confections − especially her delicious cupcakes. Melissa enjoys frequenting local restaurants to sample what’s new and fresh in the industry, often recreating her favorites with her own unique twist! Robert Mullins is an Award Winning Professional Chef who’s passions include teaching, cooking and BBQ. His inspiration for Bobby Big Pants comes from 20 years of Smoking and BBQ while teaching culinary arts and practicing as an executive chef. R&D is the key to Mullin’s development of Bobby Big Pants and is the result of thousands of hours of brining, smoking, researching and developing. Chef Robert Mullins, a Seattle native, is a graduate of the Culinary Institute of America in Hyde Park, NY. Chef Mullins is a teaching chef at the college level and a private chef’s school. He’s also a manager at the Le Cordon Bleu, Seattle campus. His extensive experience includes private catering, personal chef, restaurants, and the cruise ship MV Mist Cove out of Alaska. Chef Robert Mullins, a Seattle native, is a graduate of the Culinary Institute of America in Hyde Park, NY. 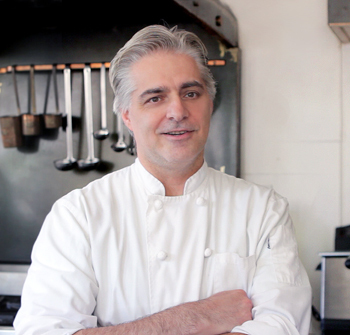 Chef Mullins teaches both through local community college and private chef’s school. 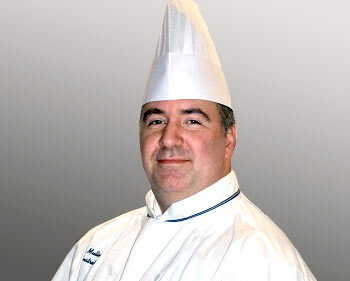 He’s also the Purchasing Manager for the Le Cordon Bleu, Seattle campus. His extensive experience includes private catering, personal chef, restaurants, and the cruise ship MV Mist Cove out of SE Alaska. Mr. Giani has a passion, dedication and determination for cooking with the freshest ingredients, and an acute understanding of the pairing of these dishes with fine wines. By the time he was 14, David Giani was accepted by, the prestigious Aurelio Saffi culinary school in his hometown of Florence, Italy, and apprenticed at some of the most famous restaurants in Italy. He is an experienced professional chef, with an uncanny ability to create new recipes; while adhering to the tradition and culture of the Florentine kitchen. His love for cooking dishes from scratch has allowed him to create and open a Tuscany Cuisine restaurant called "Fioretto Trattoria" in 2004. Chef Giani now helps others to develop menus and dishes through Chef Design, Inc. as a Professional Culinary Consulting. He also authors various Internet food blogs.